Hello everyone, my name is Shylo Elliott, also known online as shylax or ebEliminator. I am a 28 year old from Nashville, Tennessee, in the United States (yes, I do call it soccer). I’m also a relatively recent convert to the beautiful game, only realizing that I liked it in the 2010 World Cup. Before then I was a hater or indifferent to the sport. 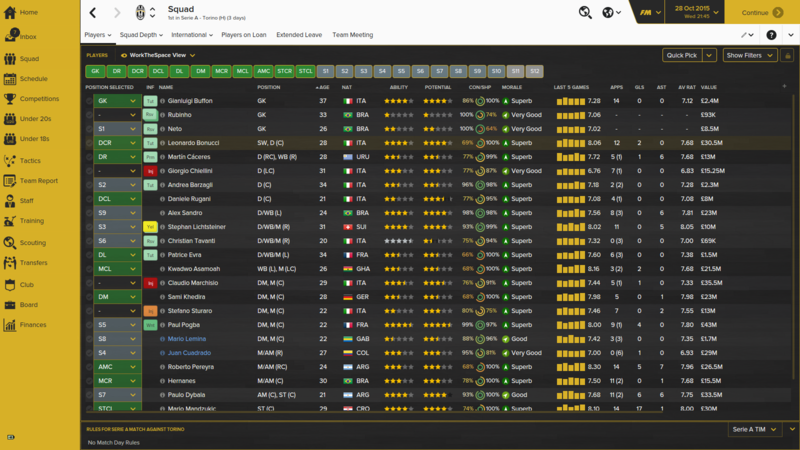 I’m also relatively new to Football Manager itself, beginning with the FM13 iteration. It’s a game that is the best at giving me what it offers, despite its faults. I’d like to talk about a formation and style of play that I come back to invariably after deviating from it in search of validation using a different tactic, it’s the one I know best, a mixed possession-oriented 4-4-2 Diamond. 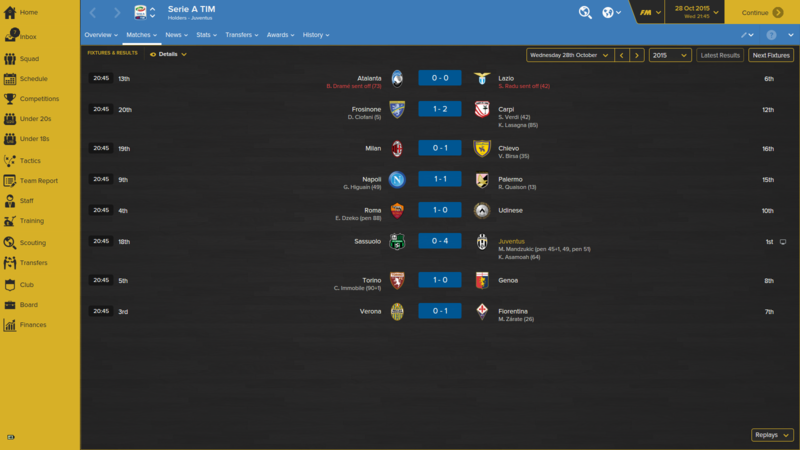 When I started playing Football Manager, I only had one preconception in mind. Shorter passes were better. It seemed like the more distance and loft that was put into a pass, the more it could go wrong. It’s a philosophy that was informed by my experience playing FIFA, which seems to favor shorter passes as opposed to longer passing. What I didn’t know back then is how much technicality is required for a short passing system, and how relying on the short pass can make build-up play incredibly stale. My original formation was a 4-4-2 Diamond with wide midfielders, I played it until I got torn apart by someone online (Tellak) who used a 4-3-3 in the Dutch/Barca style, which was what I changed to and became my preferred formation. My first dalliance with the 4-4-2 Diamond (with central midfielders) came after the 2014 World Cup. I wanted to examine the US National Team with it, since it seemed to have many central midfielders and good wingbacks like Fabian Johnson. I liked what I was getting with it, and had success with New England Revolution and Manchester United using it. My biggest success however was with Austria Lustenau, a second division team in Austria. I won the Champions League in nine seasons using a 4-4-2 diamond. It was a once in a lifetime achievement in which I required a lot of luck, as I wasn’t able to get close to repeating in future seasons with the club. Now, in FM16, I have had only one real save, a long-termer with Preußen Münster of Germany. After dalliances with a vanilla 4-4-2 and a 3-5-2, I ended up reverting back to the diamond. It didn’t work as properly in FM16 as it did in 14 and 15, so I had to make some changes, which I’ll explain later. 2. Fluid and frantic off-the-ball movement in order to draw defenders out of position. 3. It’s hard to score goals, it’s not as hard to prevent them. Responsible defensive structure helps keep the ball out of the net, one midfielder is committed to shielding the backline. 4. Defending is a team responsibility. Attacking is a team responsibility. 5. Press to create turnovers, turnovers create transition, defense in soccer is time-sensitive and transition is the best time to attack. 6. Last but not least, if the other team doesn’t have the ball, they can’t score. All of these philosophies are present in the tactic I am about to present to you. One final thing: While I am open to utilizing a variety of styles, I have a preference for wingerless systems. I hate buying wingers. It seems like they need a variety of attributes to be successful, with crossing, dribbling, and finishing rarely found in the same player. In addition, while wingers are solid support players, I haven’t really had a lot of success using inside forwards as scoring players. Everyone has different experiences, but I prefer packing the central midfield with players and using fullbacks for width. Fullbacks are also less proactively marked than wingers, which is why I prefer them as attacking width. Mentality: Control. It is the responsible version of attacking, and most suited to a philosophy that wants to retain possession, as the description implies. Team Shape: Very Fluid. I want the players to roam from position and make off the ball movements, This is the best foundation for that kind of movement. Timewasting: Fairly rarely. Only in beneficial late game situations will we waste time. I don’t believe in it as a philosophy. Width: Wide. I want to make the other team defend every yard of the pitch, so I will make every yard available for our own purposes. Defensive Line: Slightly Higher. I want to compress the other team’s playing area without being suicidally aggressive. Play Offside Trap: On, to go along with the higher line. Why not use the rules in our favor? By the way, due to the offside trap, it’s a good idea to have defenders who can all speak the same language. Closing Down: More. I want to swarm the other team’s players when not in possession. We don’t have the ball, we’re in danger, I want the ball back as soon as possible. Prevent Short GK Distribution: On. This is why I play two strikers, I’m not as beholden to Strikerless as Guido is, in the match engine attacking midfielders won’t press the back line like strikers will. I want to force the other team into aimless long passes. Play Out of Defense: So we don’t lump it up the pitch, even if we play more direct. Pass Into Space: It goes against the idea of retaining possession, but I want to make those incisive passes in order to score goals, so this is on. Passing Directness: Mixed. This is possession with a purpose. I don’t want to kill teams with a million aimless sideways passes, I want to move forward in a controlled yet exciting manner. Creative Freedom: Be More Expressive. I trust that my players are tactically brilliant enough to be in the right spot and make the right move. Work Into Box: On by default, although I sometimes turn it off to get more crosses into the box, Turning it off has the additional side effect of more speculative shots, however. Whipped Crosses: I have fast players and want to take advantage of them, so whipped crosses are the best way to accomplish that. I might change to mixed if we’re struggling with them. Freedom of Movement: Roam From Position. See what I said about creative freedom. Before I go into player roles, I’d like to talk about how people write up about a tactic but don’t go into detail about player acquisition, or they do and are vague about it. Tactics can’t be actualized without a player acquisition philosophy to go along with it, so as I go through the player roles I’ll also share idealized versions of the player roles – players from my own save. I’m currently in control of a team that has great players and the money to buy more great players – that won’t always be true for you, but you can still see the kinds of players you’d want to buy while eventually transitioning to the end game. Since I play a high line, I want to use the Sweeper Keeper role, since it influences the goalkeeper to more proactively chase down balls into the corridor of uncertainty. He’s on defend as I don’t want him to go too wild on the attack. His player instructions are Roll It Out, Distribute to Center Backs, Fewer Risky Passes, and Slow the Pace Down. Goalkeeper distribution is very important, bad distribution can lead to cheap goals. I want him to roll it out to one of my back three (center backs and half back). Here is the player I’m currently using, Stephan Gloger, a player from one of my youth intakes. I don’t need the best player at goalkeeper, as long as they’re not a terrible player. He was marked for greatness at a young age and after a half-season on loan at Sandhausen, was installed into the first team at the age of 17, and we’ve never looked back. The most important attributes are a modicum of pace, jumping reach, anticipation, bravery, composure, positioning, reflexes, and one-on-ones. Passing is a bonus, but not necessary – he still completes a high percentage of passes despite his low passing score based on the kinds of passes I ask him to make. The center backs’ jobs are to make simple passes to more creative players and to make the goalkeeper’s job easy, by either suppressing shot attempts or forcing opponents into bad shots. They also knock down long balls. I don’t use any player instructions here. The first is kind of a dream player I’m bragging about here, as he’s almost wasted as a center back, and he could reasonably fit almost anywhere on the pitch. Mamadou Traore has the kind of intelligent soccer mind I covet as a manager. The second is a player from my youth intake, Thomas Dorschner, who is reasonable depth and probably the kind of player you’ll be dealing with on the road to greatness, a more traditional CB who isn’t as technical. Ideally I’d have defensive midfielders with jumping reach at center back, but that isn’t always possible. I used to be a stickler about jumping reach, but it isn’t as important, especially in higher levels where chasing down balls and dealing with attackers one-on-one is more important than knocking down balls. Important core attributes are pace, jumping reach, strength, anticipation, composure, concentration, decisions, positioning, marking, and tackling. Passing is a bonus attribute. Every formation requires a holding midfielder for defensive stability, and the half back is a unique kind of holding midfielder. He creates a de facto back three with the center backs, which helps out a lot since the fullbacks constantly bomb forward. There are no special player instructions used here as well. The kind of player desired for half back is similar to the kind of player desired at center back, although jumping reach isn’t as important and passing is more important. The sole provider of width in the formation, they take on attacking and defending duties. Despite their depth in the formation, they can regularly get to the byline and cross, and on rare occasions they even cut in and take a shot. They’re basically withdrawn wingers. They don’t have any special player instructions – their role already confers a great deal of them. In this match engine they’ll be your primary provider of assists. Make sure your fullbacks are footed the same as the side they play on – they need to cross regularly. As you can see, they have similar requirements to the other defenders, but they need to have good crossing ability and lots of stamina. Off the ball is a bonus, but not really required since their main contributions to the attack are on the ball, they’re not moving around into the box to try to score, they stay wide to provide an outlet. Also, make sure you have two good fullbacks for each side. Your fullbacks will never make any appearance records, as they will be regularly rotated. This job demands the world of a player and they will rarely be able to make consecutive appearances, especially if you also have the demands of continental football. I’m going to lump the two central mids together, as they’re similar but have slightly different purposes. The box to box mid is more of a straight line link from attacking to defense, while the roaming playmaker moves around everywhere, getting open to receive a pass and make an incisive pass of his own. The box to box has no Pis, the roaming playmaker has move into channels and shoot less. Here’s one of my pairings, Molina the Box to Box, Bano the RPM, although both could play either role reasonably well. Both require a bit of everything, although if you are stuck with specialists, stick the more defensive at box to box, and the more attacking to roaming playmaker. In earlier iterations the roaming playmaker was an attacking central midfielder and the shadow striker was an advanced playmaker in support, but this seems to work better in FM16. Ideally you need a combination of off the ball and positioning, defensive attributes like anticipation, concentration, decisions, marking, and tackling, as well as technical attributes like first touch and passing. Stamina and pace are important in addition, so they can play 90 minutes as much as possible. Like my wingbacks, I platoon my central midfielders, I have two sets to deploy and rotate constantly. Ideally, the roaming playmaker has get further forward so he makes more runs into the box. He’s a withdrawn scoring threat that the defense has to mark, leaving space for other scoring threats. Only PI is mark tighter. The shadow striker role offers some flexibility for player procurement. Here are the two examples of the types of players I’d use in the shadow striker role. The first is a pure scoring #9 who can play in the AMC role as a withdrawn advanced forward. Nkanyiso Zuma could be a bit more physically present but he has the kind of football mind I want in a striker, his ability to move off the ball and get into dangerous positions is unparalleled. The second shadow striker archetype is the creator-scorer hybrid, as Gerard exhibits. He can pass and shoot, get open, make the killer ball, he is a hard player to find, and when you do, hold on to him for as long as you can. The deep lying forward is the fulcrum of the front three, ideally he can both pass and shoot as well. He sets up the advanced forward as well as offering another withdrawn goal threat. His only PI is mark tighter. 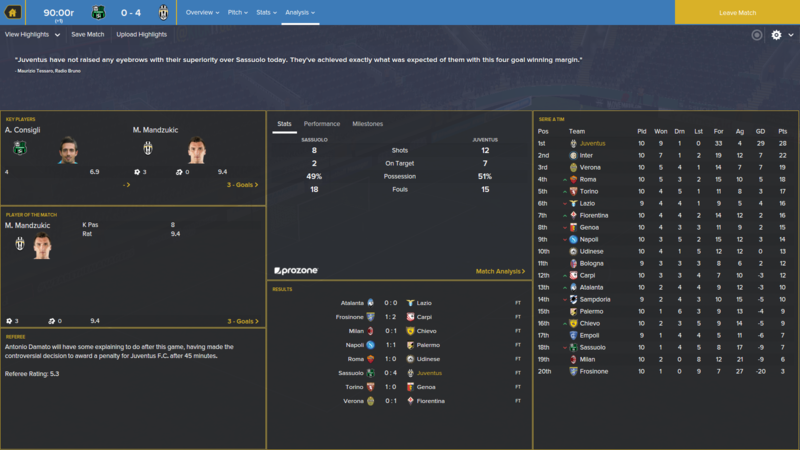 Here is my prodigy, Fredrik Jenssen, who is the epitome of being a deep-lying forward. He isn’t a great passer (merely a good one), but is blessed with incredible vision and scores goals like crazy despite not being the main threat. One minor thing is that with forwards, your support forward should ideally be same-footed as the side he plays on, so he can play a cross if caught out wide. It’s not ideal but with a dearth of wide players an extra crosser can keep the defense on their toes. He is the main goal threat, all of his attributes will be geared to getting free of his marker and putting the ball into the goal. His only PI is mark tighter. Nkanyiso Zuma would also be a good example of this kind of player, but Eloy Arganaraz is the player I typically play up front. Ideally you want both pace and jumping reach, but I have a preference for pace above jumping reach. You also want good mental attributes like composure, decisions, determination, and off the ball, as well as technical attributes like finishing, first touch, and heading. Your scoring forward should be inverted (if you play him on the left, he should be right-footed). – If the fullback gets the ball deep in his side of the pitch, he’ll usually pass it directly to the forward on his side. This isn’t a problem since your forward usually wins this ball, and if not, it’ll be knocked towards your midfielders who have a good chance of winning it. – Fullbacks struggle to mark your own fullbacks, so a common outcome is a midfielder playing a through ball out wide to an unmarked fullback. – The fullbacks are adept at anticipating and intercepting long passes towards the wide midfielders. Kaiserslautern have kicked off and have moved the ball deep in their pitch, possessed by their left back Bothmann (12). It looks like a 4-4-2, but they’re playing a 4-4-1-1, with their AMC Voigt (8) just off the striker Eckhardt (39). Our defense holds roughly the halfway line, with our DM shielding the back line, and everyone packed in the center and moving up to press. Bothmann makes a small pass to the other CB, Baack, who plays a slicing long ball towards their left midfielder Rakowski (19). He looks unmarked, so it should be a safe pass, right? In a few seconds, our roaming playmaker Diemers (6) closes down on Rakowski and intercepts the ball. He tries to make a quick pass to Jenssen which is intercepted, however, and Kaiserslautern have the ball again. The players are fanned out to the right to cover for the fact that they have the ball on their left. Our fullbacks are guarding Rakowski and Coulibaly (7), and we have a numerical advantage, 8 defenders against 7 attackers, as they have 3 back and we have 2 up. A through ball gets played to Coulibaly but Rossi sends it out for a goal kick. The two strikers are pushed up, while the midfield diamond falls back. The halfback is in line with the center backs, splitting them, while the fullbacks are pushed up a bit. Despite the instructions, Gloger sees Moller open to the left so he plays a pass to him. Moller tries a contested pass to Arganaraz but it’s knocked away. However, we retain possession. Notice how the fullbacks on each side have acres of space, and the typical play is to pass it out to one of them. The front three surge into the box, with the two central midfielders in reserve, and even the DM will run into support very late. Unlike wingers, the opposite wingback on his side won’t tuck into the box much. With any tactic, you need sensible player acquisition to make it work. I’ve only used this tactic with a Bundesliga-quality team and I have the very best players in the world, so your results will vary, but with a roadmap as to player expectations, success will follow. The main thing is meeting expectations in the first few seasons to set up success further down the road. Giving this a shot with my Bradford City side. 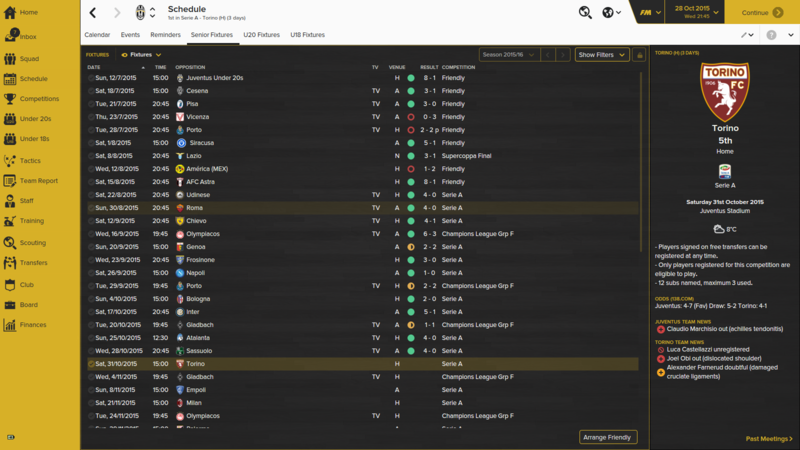 First match with tactic @ West Brom. While I don’t think I have the players to make the strategy work to perfection, I believe if nothing else it’ll throw a few teams off thinking we’re gonna play a conventional 4-4-2. Having aimed for a top-half finish, I’m hoping the tactical curveball will steal us a few wins and keep us in with a shot at a Europa League place. Champions League place may be a bit too optimistic, especially since Man City are starting to kick into gear, and they’re the team in 4th. Holy crap, another American player who lives an hour away! Anyway, interesting tactic and read. Love this setup, sensible and I feel could work with any team with right additions. Kept Livingston in the championship in the first season finishing 7th instead of 9th and currently 1st (8 points ahead) in the second season after the a third of the season. I normally use a diamond but was struggling to get the balance right recently! 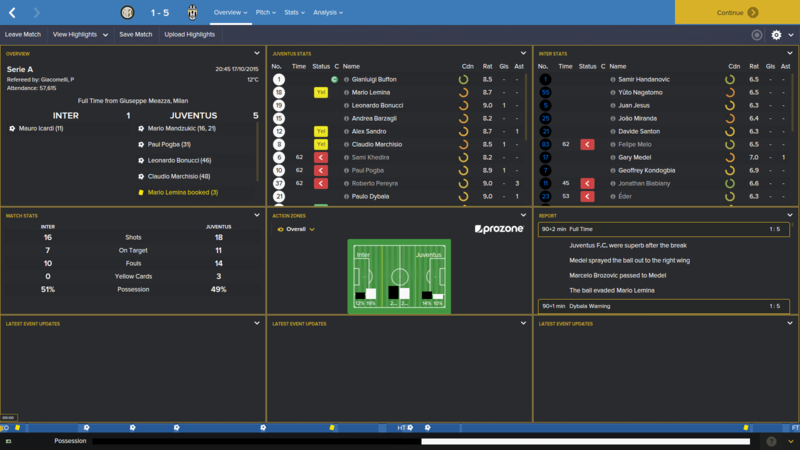 Been using this on my Juventus save, 10 games in, 9 wins & 1 draw. Conceded just the 4 goals and scored 33. Thank you so goddamn much. I came across this yesterday I’m managing Inter Milán, doing a rebuild after 2 seasons managing Ajax. In my first 6 matches I won 4, tied 2, without theses tactics. I was switching back and fort between a 4-4-2, a Winger Benfica tactic and a custom made 2-3-2-3, attacking oriented. No real development was made with these and I was struggling, despite the results. Yesterday I gave yours a try. We’ve won 8/8, in splendid manner, against Roma, Fiorentina, Palermo. We get goals in with the strikers (Icardi and Biabiany) and don’t concede at all. I love this. Specially as I am argentinean and a diamond shape is just the way we see football. Thanks for making these work.